Home » Blog » Posts » What Are the Benefits of Using Pay-Per-Click? Putting your ads in front of potential customers can provide many invaluable marketing rewards. Welcome to the world of pay-per-click, a form of advertising where you only pay for clicks or views. While there is some risk involved with PPC (like accidently blowing your entire monthly marketing budget in a day), it can also be an effective way to attract the attention of your target audience. Before you start, you can establish your daily spending limits so you avoid the costly accident mentioned above. It’s also easy to adjust those limits based on results you’re seeing. The amount you actually spend, however, depends on much you want to compete for desirable keywords related to your business. One of the unique benefits of PPC is the ability to test low-risk keywords on a small scale before peppering those terms throughout your other content. You can also A/B test different versions of pages where your content is directed to determine which one leads to more conversions. The ROI on your organic search efforts is likely to be long-term rather than short-term. PPC, on the other hand, has the potential to generate results, i.e., conversions and traffic, in a matter of days. 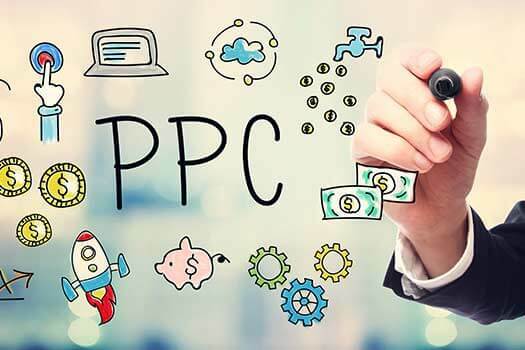 If you’re interested in learning more about what PPC advertising can do to boost your business, give us a call at (858) 277-1717. As a leading SEM company in San Diego, we’ve got years of experience helping companies like yours increase their online visibility and drive traffic. Reach out today!